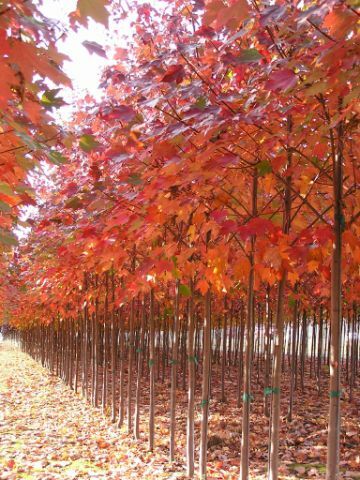 Kuenzi Turf & Nursery began producing sod in 1990 with 35 acres, and since then has expanded into 500 acres including deciduous bare root trees, Japanese maples and specimen shade trees. Throughout the years, two philosophies have guided our growth, and those are, the importance of relationships and the quality of our products. In the nursery business, there are many relationships: the employer to his employee, the grower to the customer, the plant to the soil, and even technology to nature. And of course there are the relationships between quality, cost, reliability and customer satisfaction. To us, each is a link in the chain of excellence. We measure our success by the principles which are traditional to those who work the soil: cooperation; honesty; direct and forthright communication; care; knowledge and attentiveness. Everyone recognizes what they are – the salt of the earth values, the ones we all grew up knowing. There are no substitutes when it comes to delivering top-notch plants, whether to good friends or exacting customers. Plants are our ambassadors; they represent us. And so we will not skimp on the materials that help them thrive because when all is said and done, they, and not words, are the reasons you will look to Kuenzi for the finest turf and nursery products.